In freshman English, the students are selecting novels to read and present independently for our final project of the year. 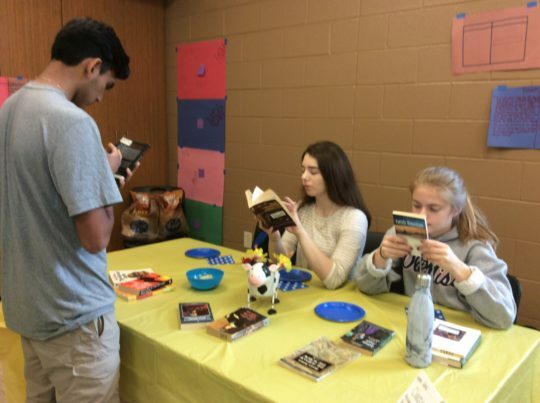 To encourage students to take their time with books and talk to their learning community about the abundance of choices, classes engaged in a book buffet! 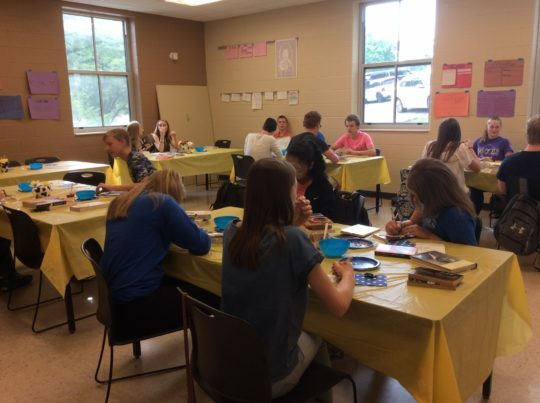 Students sat at categories which interested them and were able to request selections from other categories as the buffet progressed. 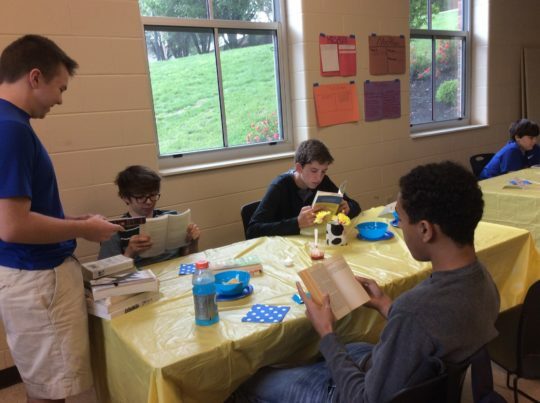 As they read and chatted, student also grazed on chips and salsa. 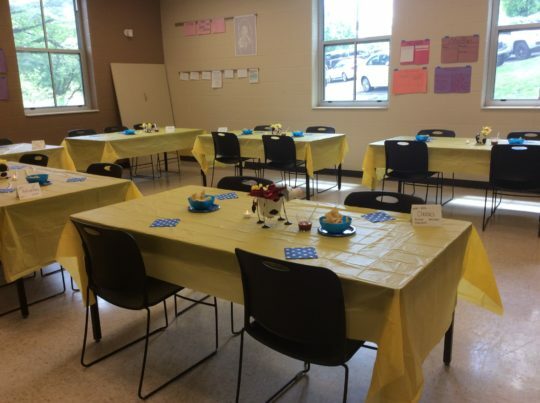 At the end of their buffet, students placed their book requests (in lieu of a bill) and received a thank you mint. The classes were all so excited to see the different literature offerings and even suggested titles to the peers. We can’t wait to start reading and further engaging and connecting with the diverse titles! Applications for the Wesley Smith FCA Scholarship can be picked up from Mrs. Patsy Smith during FCA or from the business office on Wednesday. Wednesday, May 10 will be the last Upper School FCA meeting for the school year.